Ice plants were essential to keep produce fresh as it traveled through the county. Many were built in Laramie. The Ice House in Laramie began down by the river and was bought by Knadler, a Fort Sanders soldier. The Union Pacific Railroad bought him out and built a bigger plant, which burned down and was replaced with a much larger ice plant uptown. 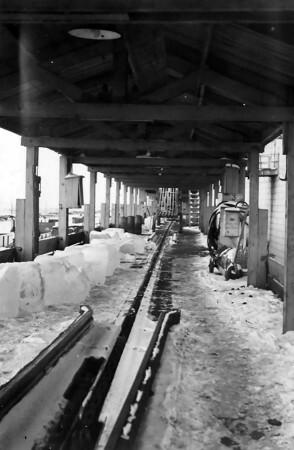 A huge ice house was built over the years for the ease of handling the ice and moving it on and off trains. After the Ice House closed, the town used this space for many activities. The above left photo depicts the setup iniside the large building where trains could drive up beside the plant and new ice was pushed from its readied position into each car. 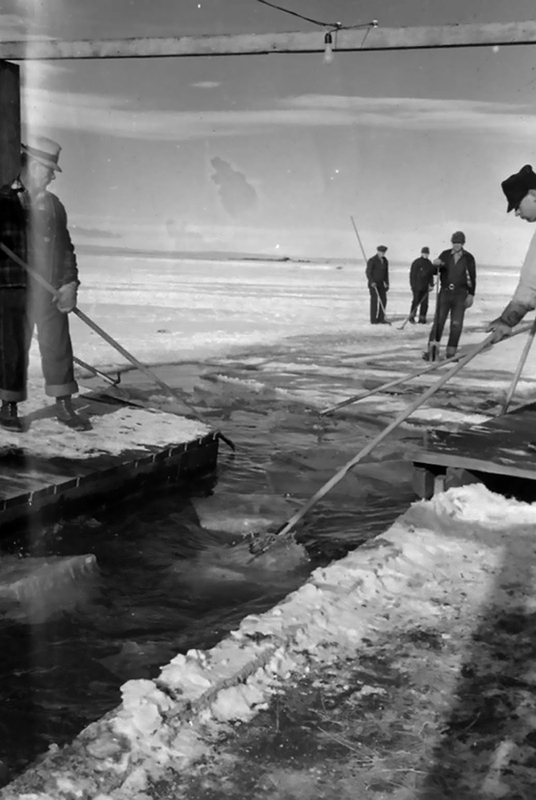 The picture on the right depicts men cutting ice from the river and floating it down to the Ice House location. Learn more about the history of the Laramie Ice Houses.